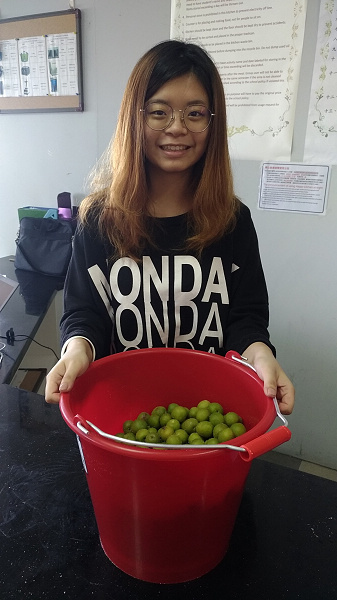 teacher Chen Mai-lang’s instructions on how to make plums with shiso in the evening of 11 April. 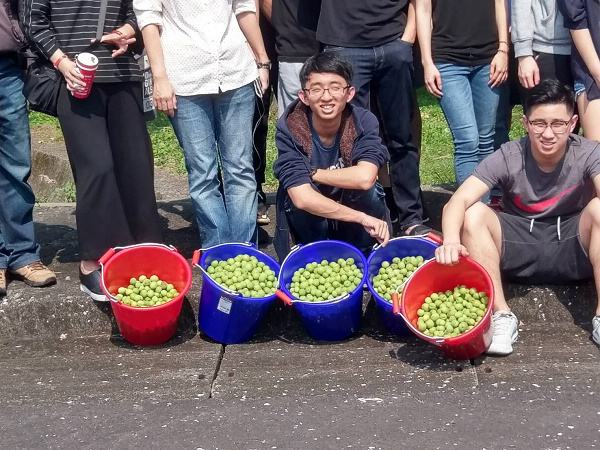 Later on, the participants carried the buckets to harvest the plums in the warm sunshine. 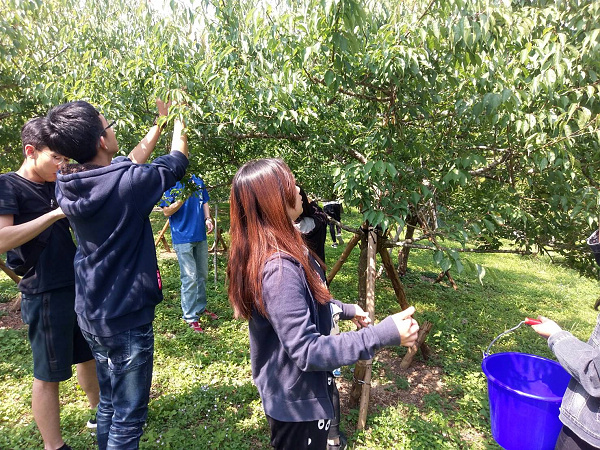 The teachers and students looked for the trace of the plums among the plum trees. The produce this year is less than that last year. 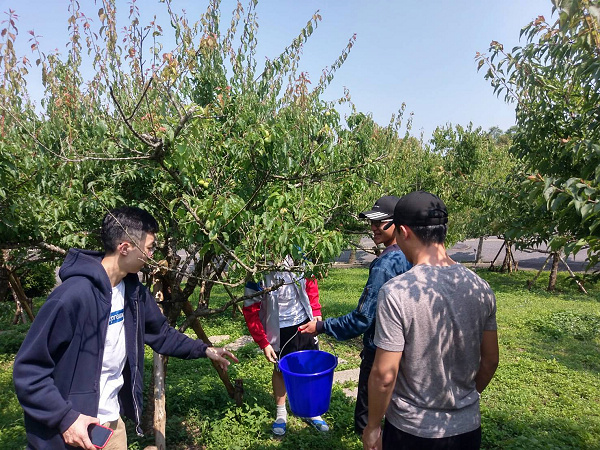 Everyone made an effort and finally gathered five buckets of plums, but there were still some plums left behind in the field. Out of a rush of childish playfulness, the students threw the plums to each other. It was so much fun! They carried the plums back to the Happy Kitchen. 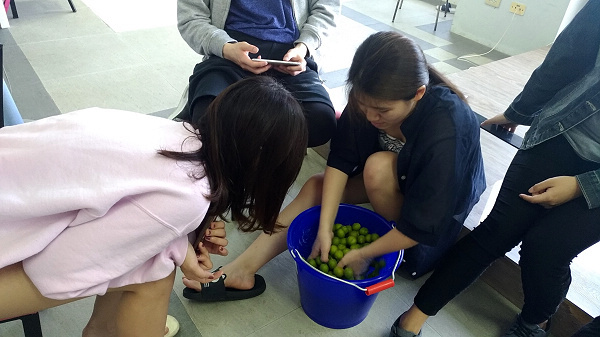 Afterwards, since they were supposed to learn how to pickle plums with shiso today, they had to spread salt on the plums so as to proceed with the deactivation of enzymes and the removal of their fluff. During the rubbing process, the students eventually realised the hardship of farmers. 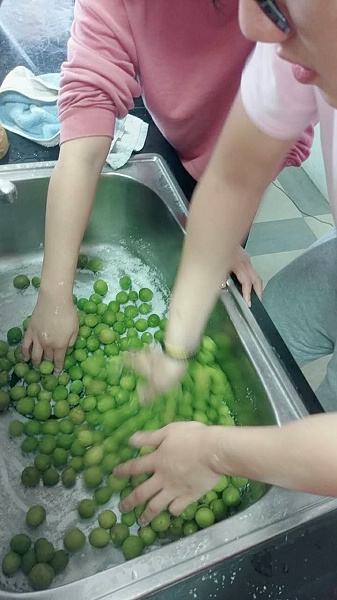 After being pickled for one day, the plums are to be washed with water. White rock sugar and shiso leaves should be added to the plums to start pickling. Finally, it requires three months of quiet fermentation in sealed glass cans to enjoy the sour-sweet taste. 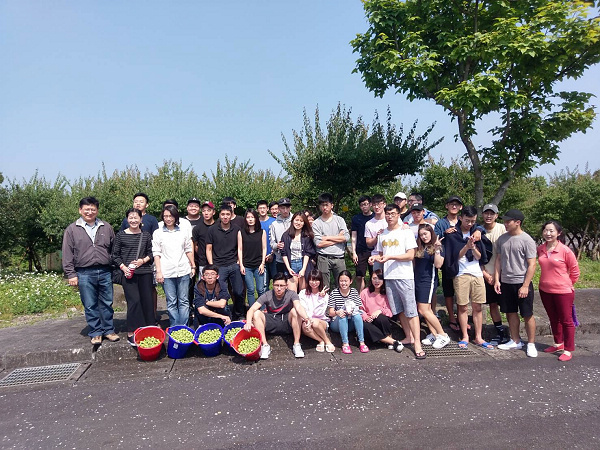 This activity was held by the Student Association of the Department of Innovative Information and Technology, which could well enhance the students and teachers’ understanding of the ecology of the plants on campus. 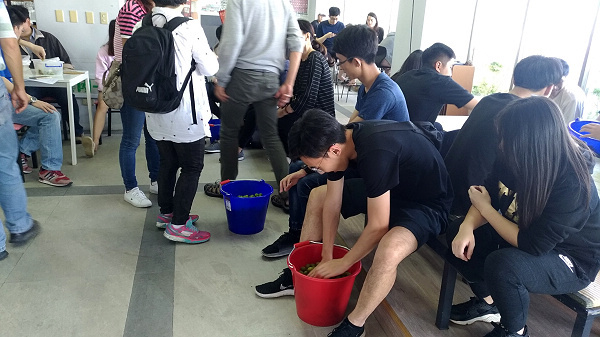 In addition, it also would down a bit the pressure felt by the students before the mid-term examination.